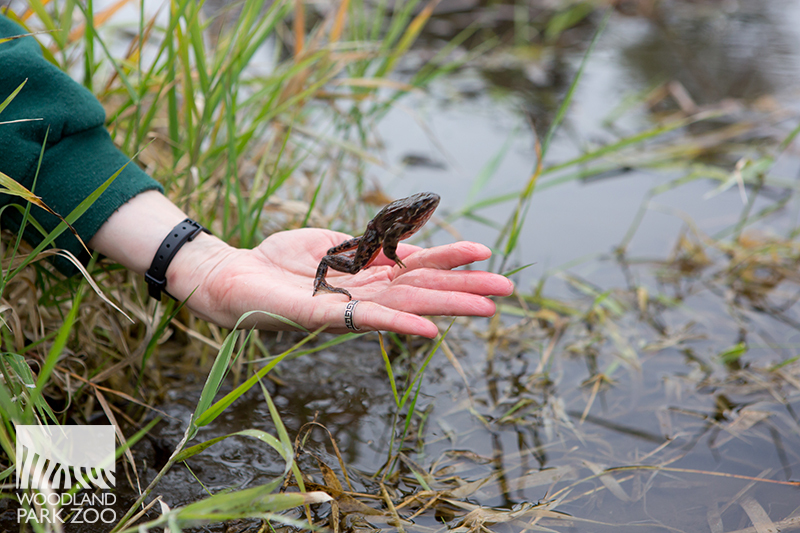 An Oregon spotted frog is released into wetlands. 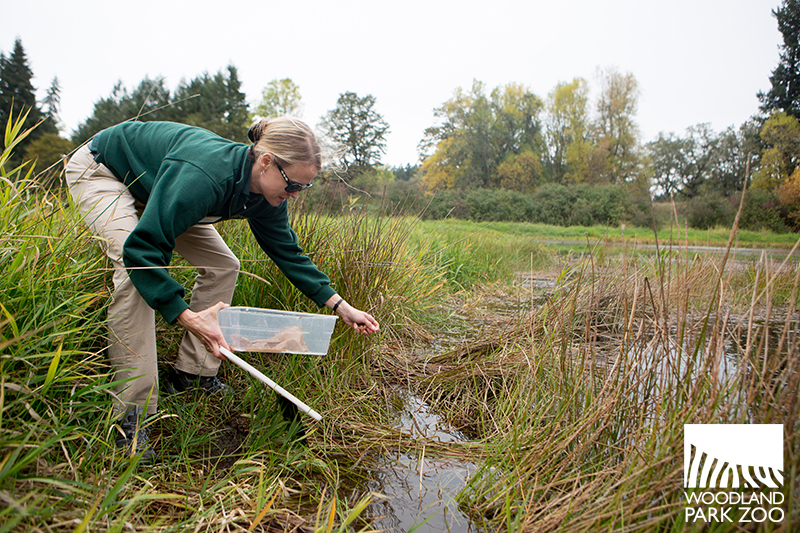 Nearly 750 Oregon spotted frogs reared at Woodland Park Zoo were released yesterday into marshy wetlands at a protected site in Pierce County. Gathering the frogs from their behind-the-scenes area at Woodland Park Zoo. 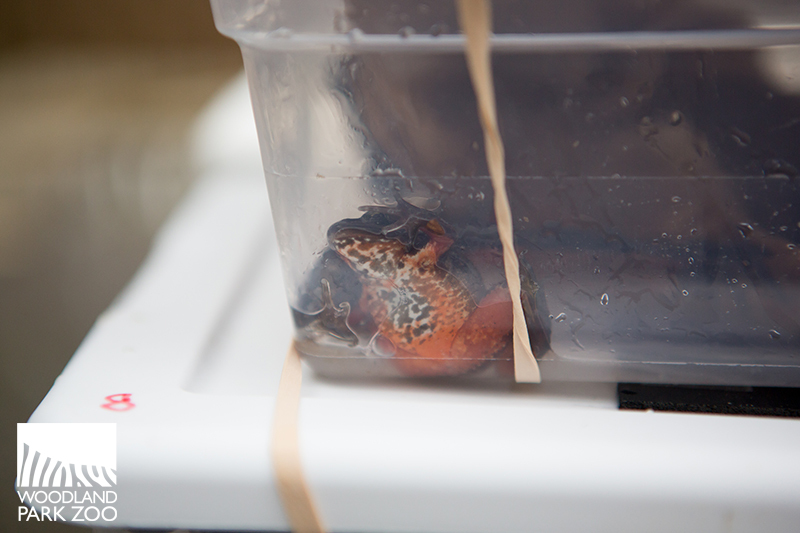 Nearly 750 frogs were packed up for transport. 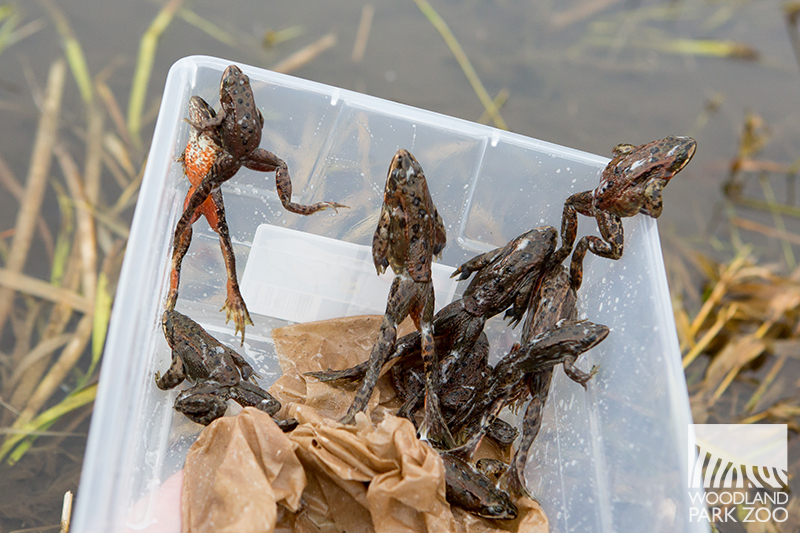 The frogs were collected from wetlands as eggs and placed at the zoo for hatching and rearing for approximately seven months in a predator-free home as they transformed from tadpoles to juveniles, increasing their survival by giving them a head start until they were large enough to avoid most predators. Unloading the containers of frogs at the protected wetlands site. 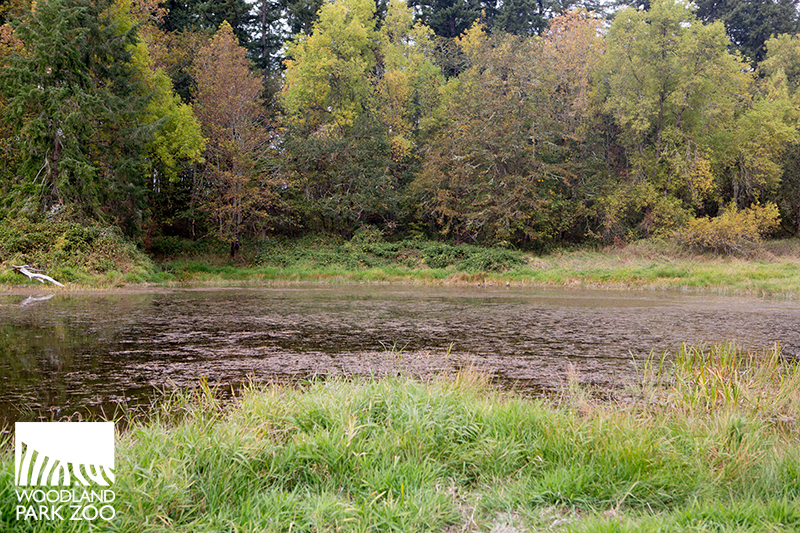 The protected site provides marshy wetlands habitat for the frogs and future frog generations. 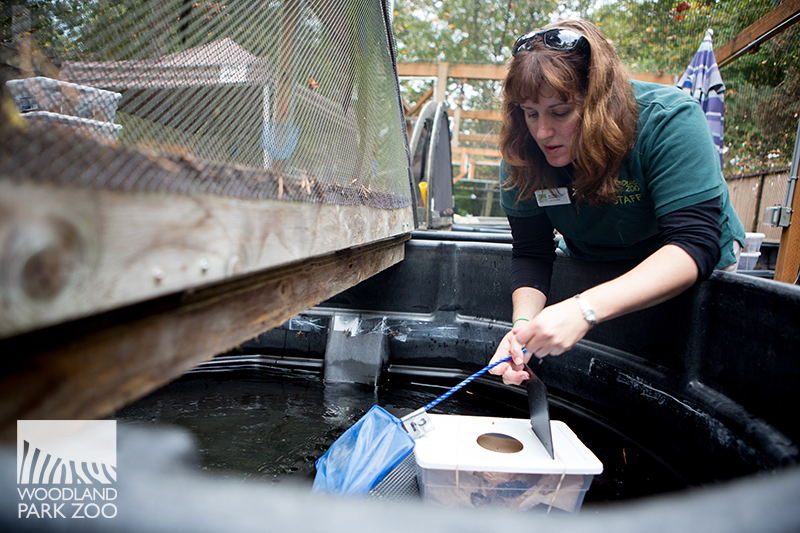 Head starting and releasing the frogs is part of a cooperative program with Woodland Park Zoo, Northwest Trek Wildlife Park, Washington Department of Fish and Wildlife, the Sustainability in Prisons Project, and other zoos and state and federal agencies. The frogs were released into water. 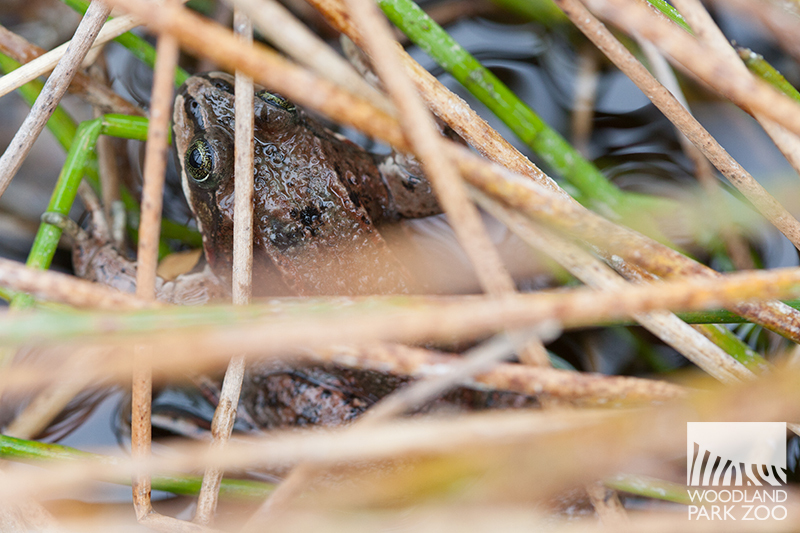 Washington declared the Oregon spotted frog an endangered species in 1997, and on August 28, 2014, the U.S. Fish & Wildlife Service listed the frog as a threatened species under the Endangered Species Act. It historically ranged from southwestern British Columbia to northeastern California. However, scientists have seen populations plummet, driving the frog toward extinction. 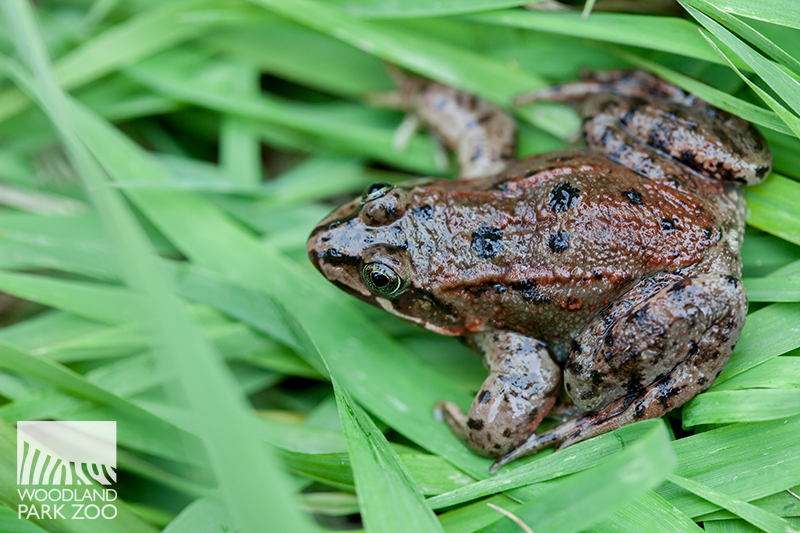 The native amphibian has lost ground to habitat loss from draining and development, disease and the introduction of invasive species such as the American bullfrog and reed canary grass. 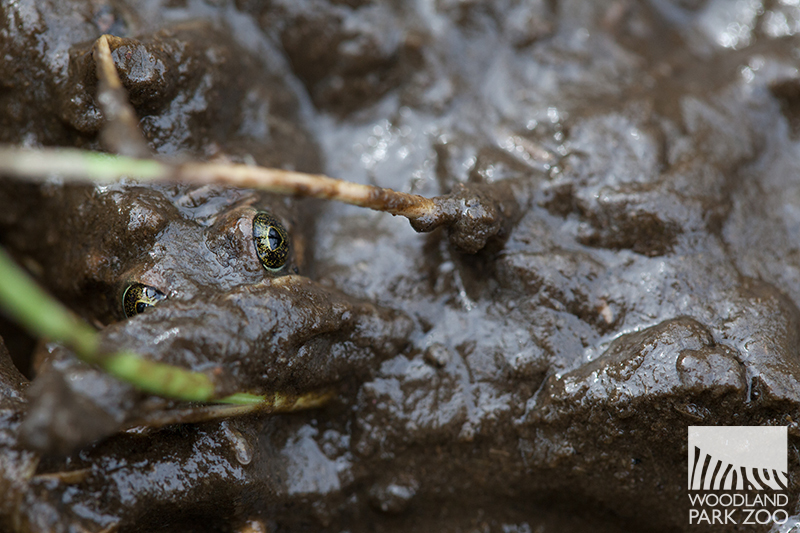 Oregon spotted frogs are highly aquatic. They are found in or near permanent still water, such as lakes, ponds, springs, marshes, and the grassy margins of slow-moving streams. Both juvenile and adult frogs are carnivores, feeding primarily on insects, spiders, and earthworms. 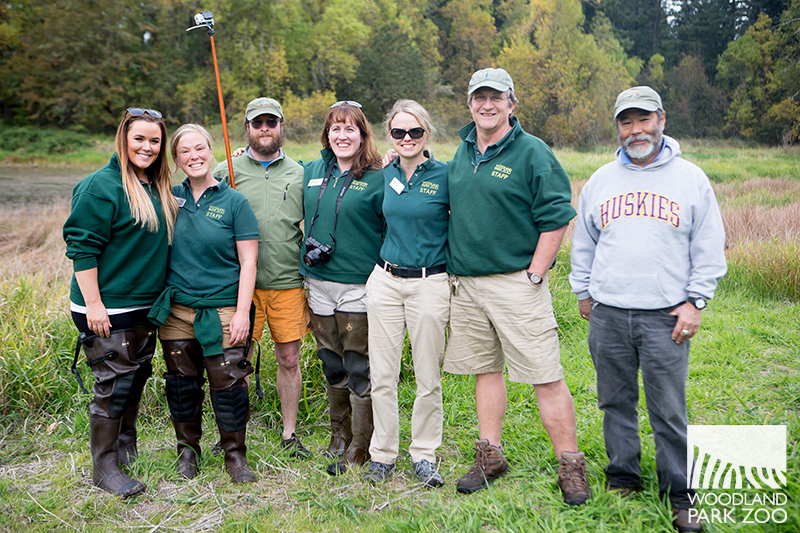 Woodland Park Zoo staff celebrate the success of seven great years for the program. The frogs settled right in. 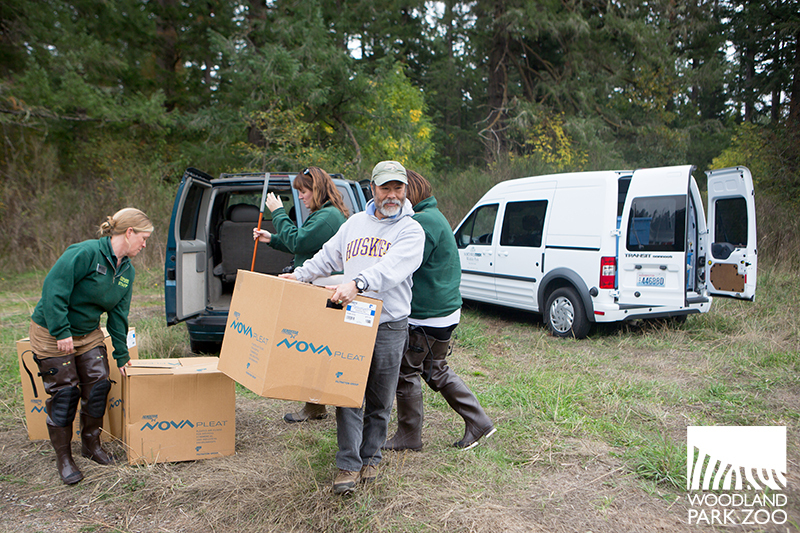 Conservation is the heart of Woodland Park Zoo’s mission. Zoos are well positioned to reach millions each year with the unique opportunity to connect with nature, learn about conservation issues around the globe, and take action to make a difference for wildlife. 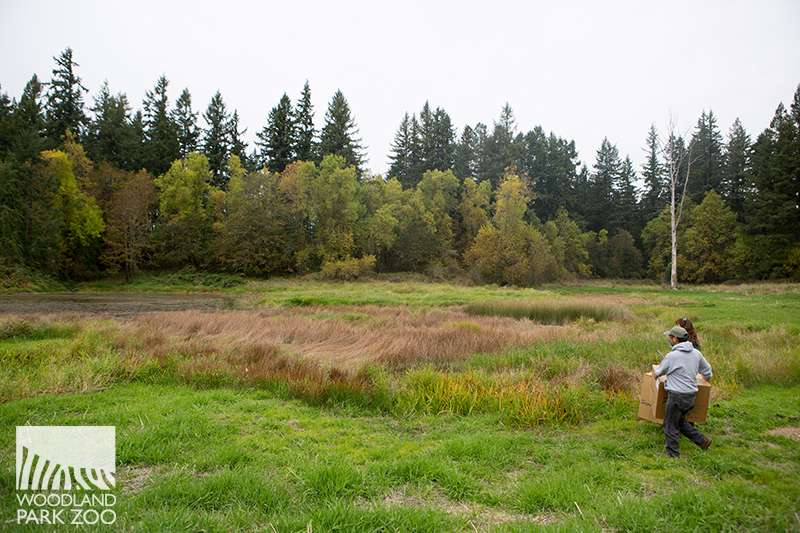 Woodland Park Zoo supports projects in the Pacific Northwest through its Living Northwest conservation program, including projects focused on native raptors, turtles, butterflies, frogs and carnivores, and the shrub-steppe, wetlands and forest habitats they depend on to survive.